Oktavia's 10 standard cabins confirm either as a single double bed, twin beds in bunk style or triple shared with a double bed below and a twin above. They are air conditioned and the very large shared bathrooms are just down the hall for your comfort. 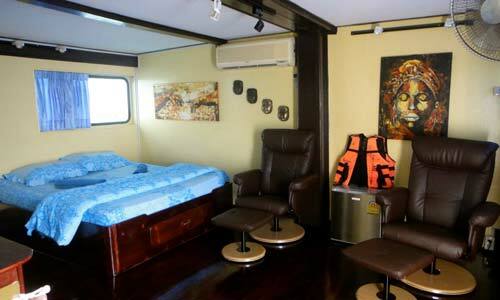 Oktavia's two master cabins are located on the top deck of the boat. She has a king size bed along with a desk and chairs and a flat screen TV. The cabins are air conditioned and feature a private bathroom. 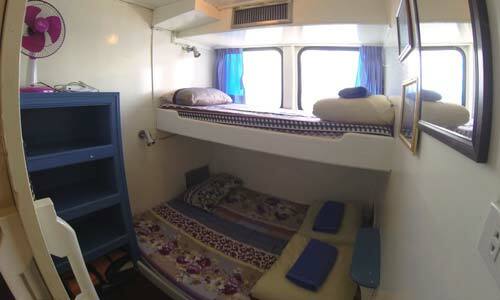 These may be used as a family room taking up two adults and two children under 13 years of age. 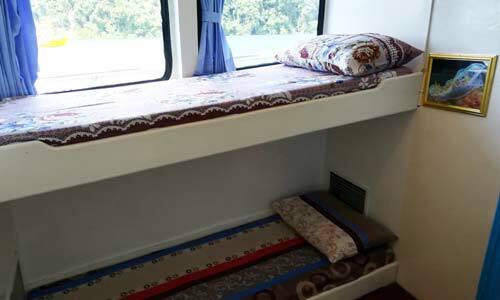 Oktavia's 10 standard cabins confirmed either as a single double bed, or twin beds in bunk style. They are air conditioned and the very large shared bathrooms are just down the hall where you may shower in comfort. The single supplement price is a great deal. 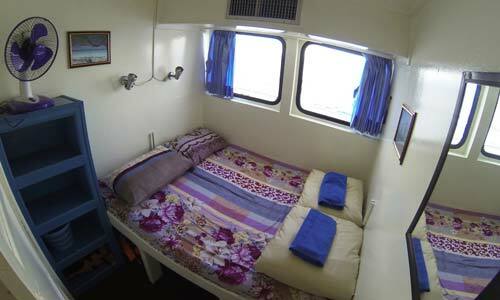 Oktavia's two master cabins are located on the top deck of the boat. She has a king size bed along with a desk and chairs and a flat screen TV. The cabins are air conditioned and feature a private bathroom. The single supplement price is a great deal.